The new Woman’s Weekly Sugarcraft Made Easy is out now! 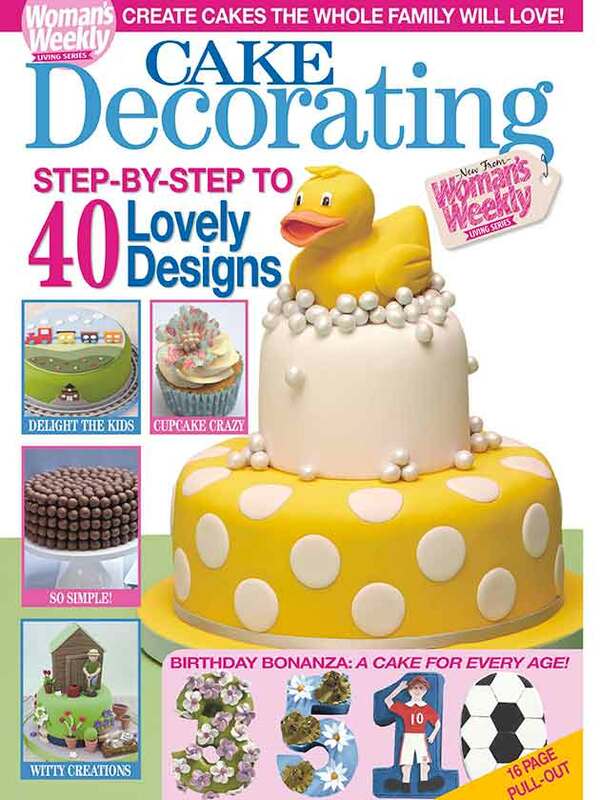 The latest issue of Woman’s Weekly Cake Decorating is out now! Welcome to the new issue of Cake Decorating, packed with easy ways to decorate special celebration cakes. Nothing beats a homemade cake that has been decorated with love and you don’t have to be an expert to attempt to follow the designs in this magazine. They’ve been developed to require the minimum amount of specialist equipment yet still give professional results. A highlight is the 16-page pull-out Numbers section. These delightful designs from 1-10 are a useful guide to producing cakes for any birthday or anniversary. No fancy tins are required – just cut the cake shapes out of a large cake using our grids to get the proportions right, then adapt as required to suit your roasting tin. When my daughter saw me working on these she wanted a strawberry number cake for her birthday, so I picked the template, added natural strawberry flavouring in place of the vanilla extract and coloured it pink – it was a huge success. I hope that you’ll enjoy making the cakes as much as I’ve enjoyed compiling this collection from the Woman’s Weekly Test Kitchen and special contributors. The cute duck cake featured on our cover, which we’ve been lucky to be able to include, is from Quick Cakes For Busy Mums by Karen Taylor (B Dutton Publishing); it’s one example of the really easy cakes that you’ll find in that book. You can buy single back copies if you’ve missed an issue.